Welcome to this weeks Tips and Technique Tuesday Video. Although I posted the video on Tuesday of this week, I'm just now sharing it here on my blog a few days later. I hope you had an enjoyable Christmas Day! We had a fun day and our Little Man really raked in the haul of toys – totally spoiled by all the relatives! Today, we really enjoyed the movie, Frozen, especially Little Man and he was even singing the title song as we were leaving. 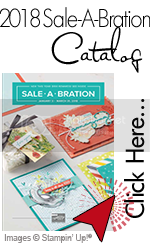 To purchase the products used in this video, visit my 24/7 Stampin’ Up! store by clicking HERE! For your convenience, you can find the supply list with product numbers listed at the end of this post.